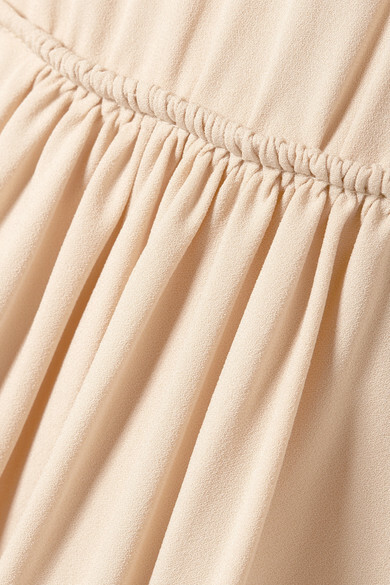 Chloé's fans particularly love the house's bohemian '70s spirit. 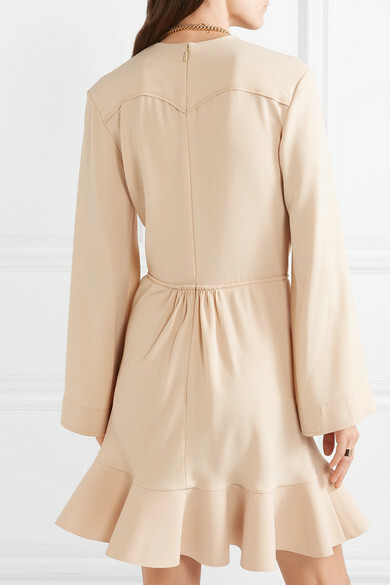 Cut from ecru crepe de chine, this dress has billowy sleeves that are tipped with subtly flared cuffs and is gathered at front to define the waist and accentuate the flounced skirt. Accessorize it with ankle boots and a bucket bag. Shown here with: Chloé Necklace, Laura Lombardi Necklace, Jennifer Fisher Ring.